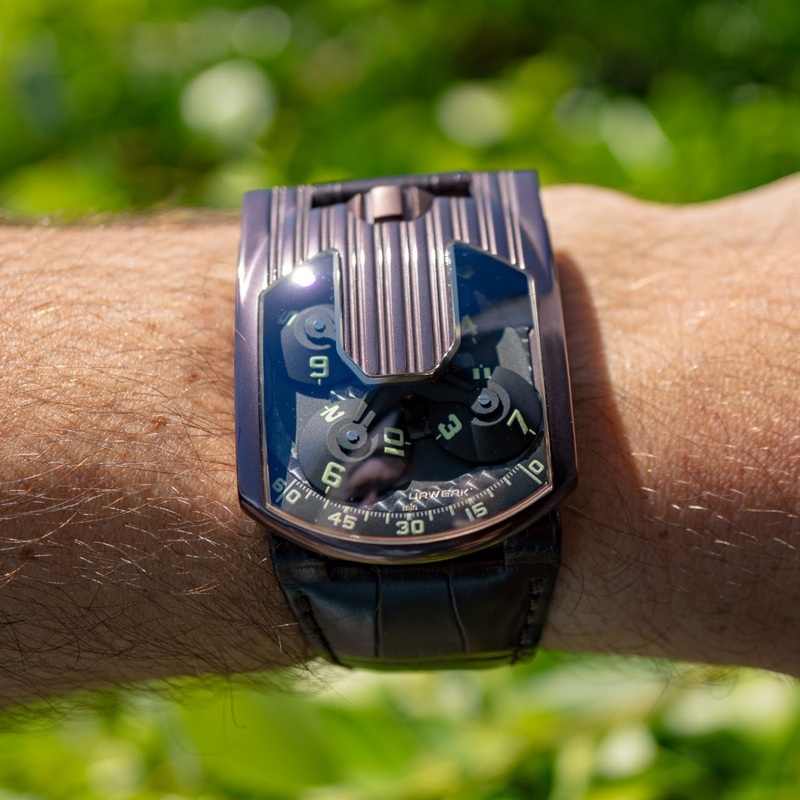 My favorite version of my favorite Urwerk. This has the classic case shape combination combined with a virtually unscratchable case that is a supremely cool shade of purplish brown. Of course this is also the model with the angled top crystal making it exceedingly rare and desirable.